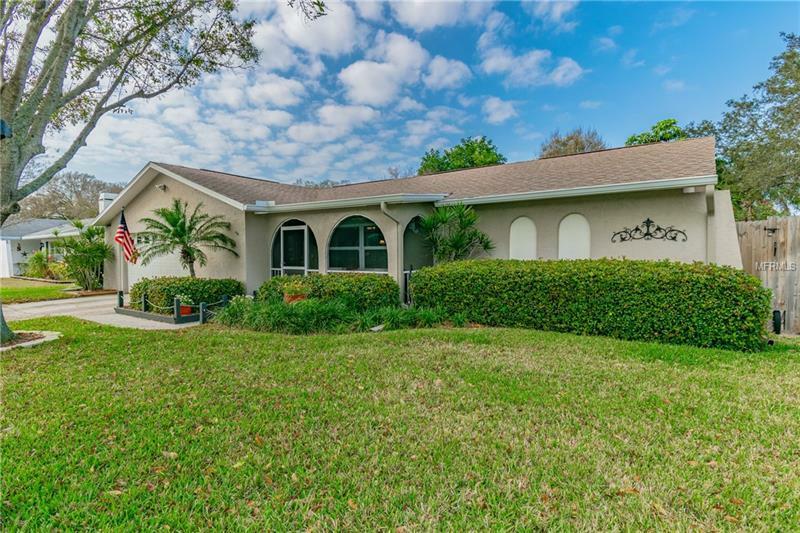 Rare Seminole beauty within walking distance of the best schools in Pinellas county, Bauder Elementary, Seminole Middle, and Seminole High school including the new Technical school. Make this move-in ready Gem your new home featuring an outdoor oasis complete with a large pool, resurfaced in 2017, new pool pump and pool sweep in 2018, outdoor speakers, elevated deck, fenced dog run, and additional fenced garden area which could be converted to RV or Boat parking. Interior of home features large split floor plan with several living areas including a family room, large living room, formal dining room, and a cozy sitting room with a wood burning fireplace. Adjacent to this is the breakfast bar that opens to a well lit kitchen. This 3 bedroom/2 bathroom home features newer double paned windows and sliders, it has updated bathrooms with granite and marble counters and new fixtures. Living areas include hardwood and tile floors, while Kitchen includes new stainless steel appliances with âfinger print resistanceâ finish and smart oven. The HVAC system has 4 years remaining on warranty. Also, has new water heater and new water softener, with a new electrical breaker box. Outdoor areas feature mature landscaping, with sod in front yard 1 year old, and fencing. Attached to home is a spacious double garage with built in storage and a shaded driveway. This is a must see property.